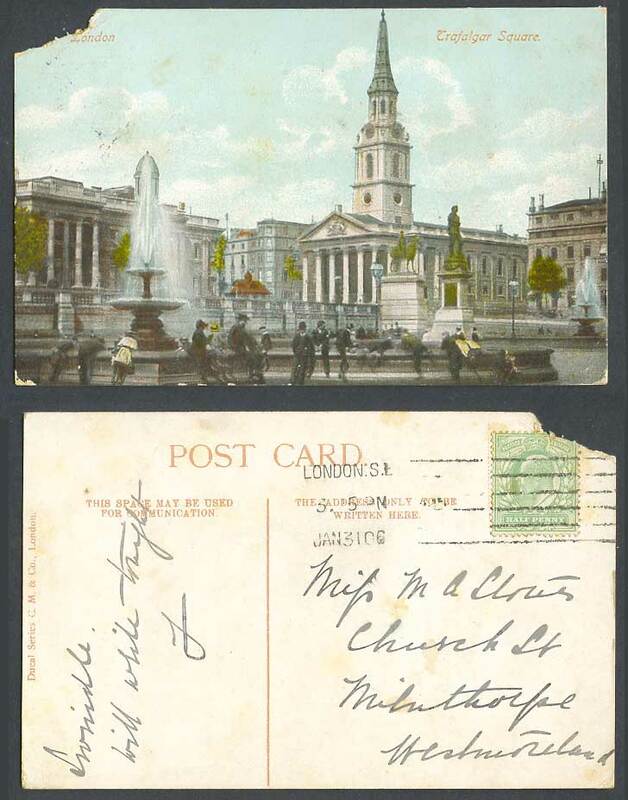 Vintage Old Colour Postcard. London - Trafalgar Square. Fountain. Statue. St Martin-in-the-Fields Church Tower. 1906.